We offer a valet car parking service for residents of the hotel only. There is an abundance of on street parking surrounding the hotel, or at St Mary"s Street, or Barton Road Public Car Parks which are a short walk from the hotel. We will be happy to provide directions if required. There are bus stops along St Mary Street a short walk from the hotel. Ely Train Station is approximately 15 minutes walk, or a short taxi journey. The Writing Room is ideally suited for larger gatherings of up to around 100 guests. * This room has a sunny aspect with abundant natural light and its own outdoor space, as well as overlooking our secluded courtyard garden, which is the perfect spot for arrival drinks when the sun shines. 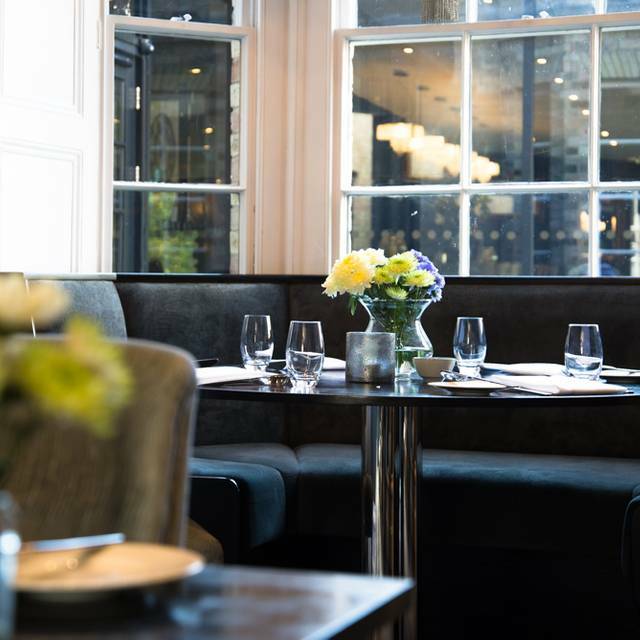 Whether a celebration with friends and family, or a cosy evening for two our restaurant at Poets House has a lovely intimate feel with a friendly welcoming team to help you relax and enjoy our simple, British menu. Food was decent but let down my the generally rude staff who seems to think that a top dining establishment means that the staff should be patronizing. Service for drinks was slow and we had to ask for a steak knife. We had a lovely meal at the Poet's House. The staff were extremely attentive and even brought us a glass of prosecco on the house as it was a special occasion - My mum was visiting me after having surgery. We really enjoyed the meal and the relaxed atmosphere in the bar and restaurant. The cocktails were very tasty! The meal was really nice and presented well, but the menu options were quite easy, considering the prices. I wouldn't really consider it a la carte. Having said this, I would recommend the Poet's House for the ambience and the level of service from the staff. Very nice meal and lovely ambience. Service would very good. I would recommend. Lovely main courses and outstanding desserts. Good service, good wine list, nice atmosphere. My wife and I went to Poet’s house for our wedding anniversary, and couldn’t have had a nicer meal. The food was excellent, the staff were great and we will be going back for sure! Poets House is a spectacular B&B, the environment is both historic and sleekly modern. The restaurant is a victim of the high expectations created by the superb environment. One expects an enchanting dining experience. The food is solidly good. The dishes lean towards over-wrought rather than inspired. The food did not meet expectations. A little let down by the staff, as they aren’t as fine as you would expect in such a restaurant of that standard. A warmer welcome would be appreciated. Service was faultless and the food outstanding. Quite expensive but worth it, more of a place to go as a treat than a regular place to eat. Always a great experience and great food! Waited a while to be offered a drink in the bar; no menus offered, had to order at table. Apart from that, service was friendly and efficient. Menus very limited in choice and wine list rather limited. Food not particularly imaginative. Hard to tell what was in the dessert. Food and drink prices were reasonable in themselves but not so much when compared with quality of what was served. Ambience is good, but wouldn't recommend this restaurant. for a special occasion. Felt we were in the way when they started laying the empty tables each side of ours up for breakfast at 8.30pm. Dead flowers on table - surely restaurant manager should notice things like this. Main meal was enjoyable but starter and desserts were pretty average. All in all nothing out of the ordinary and ambience poor. Lovely surroundings but the food was nothing special. Could pay more attention to deliver the promise of a great sounding menu. Pricing was fair but the taste failed to deliver on the expectation. Have been here for lunch and dinner before and booked for a Boxing Day meal. Superb day with family enjoying the food and the service. The staff are really attentive and look after you. Beautiful setting. Great food and really good drinks menu. Thoroughly recommend for any occasion. A wonderful lunch to start our Christmas celebrations. Had an excellent Sunday lunch here. The service was very good and the dining room had a lovely atmosphere. All our food was well presented and delicious . I love the venue. The food is good, but the service and finer details could be improved slightly do this great place justice. Had a lovely evening with friends in a very relaxed setting. Good food and wine and great service. We visited this restaurant whilst staying in Ely. The place is very nice and the food was good too. We were the only four people in the restaurant on a Monday night and they were holding an event in another part of the restaurant. The service was ok but when it came to get the bill, we had to go and ask the waitress for it. She brought it to the table and then we had to ask again to pay it as no one seemed to be available even though we were the only diners there that night. The food was delicious but it was just the service that was on the very slow side. Having said that, we would visit again if we ever stayed in Ely again. Fantastic venue with attentive and knowledgeable staff, made the experience all the more enjoyable that our waiter had sommelier level wine knowledge. Very impressed all round, food was great, atmosphere was friendly and relaxed and the building is beautiful. Will be back. This is a fabulous venue that provides provides very good food and service in a fabulous environment. Surprisingly low priced as well. Ate here on two nights whilst stopping at the hotel. Normally we give hotel restaurants a wide b=erth but this was an exception. The food was imaginative and well cooked, service friendly and attentive without intruding. The ambience is elegant and restrained but not overbearingly full of itself. We have eaten in the Poets House many times over the years, the most memorable being a fabulous meal we had with friends for our wedding day. I have to say on this occasion we were left a bit indifferent! The service we received was a bit erratic depending on who was serving, and the food for many of us, although well presented, for most of the group was rather bland which we fed back on the night, and to their credit we were offered our desserts on the house. Have to say unfortunately based on this meal we are not inclined to rush back. Lovely staff & delicious food. Can recommend the liqueur coffees - beautifully made & delicious!! Nice atmosphere and attentive staff. A good spot for intimate evening together. Food was good but vegetarian / vegan options were very expensive and not very imaginative - not recommended for this. Not overly expensive , but main courses were somewhat bland , especially the chicken. deserts were poor. Was expecting better given the overall quality of the hotel itself. Took some London friends to Poets House for Sunday lunch. 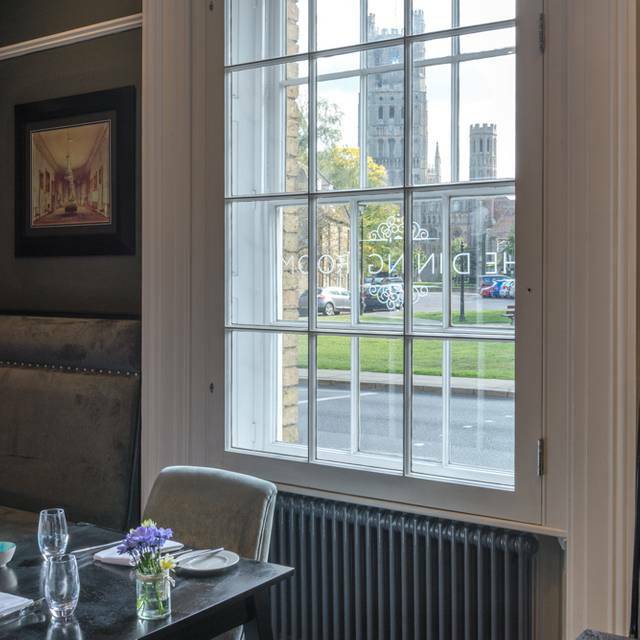 Great location opposite Ely Cathedral and lovely decor. Food was great and service very good. A gem in Ely. Birthday celebrations were perfect here. Suprise bubbles on arrival, lovely cocktails and amazingly presented food and delicious. The hotel is in a great location with views over looking the cathedral in Ely. The restaurant is sophisticatedly decorated, with plenty of space between the tables, creating privacy for each party. The service from the moment we arrived to the time we left was too a very high standard. The menu was varied and appealed to a wide audience. The Food was presented well and delivered on taste, quality and quantity. I would recommend this restaurant for afternoon tea and a special occasion. The decor was awful, the music unsuitable for relaxing dining and half the time far too loud. The waitress was sweet but a little bit uppity. The deserts were uninspiring and the one chosen had far too many elements. However, the starters and main course was excellent - genuinely surprised and delighted. And good value. Why did we have to ask for water every time? Couldn't they leave a jug of water on the table. Overall experience was good, its very nice place, well layered out tables with good amount privacy not too disturbing, good ambient music and good service. Yet me and my date has special dietary requirements which wasn't considered at all even though the restaurant was informed a week ago. So my choices of food were very limited the food was still good. I wouldn't say it was brilliant but up to good standards. good food well cooked,overall good value,menu a little limited, staff young and need a little more training.happy to recommend and we will visit again. The Poet's House in possibly the best location in Ely - looking out across the green to the front of the magnificent Norman cathedral. The hotel staff are very friendly and helpful, and the suite we stayed in was stylish and well equipped. The restaurant is also a stylish space with friendly staff. 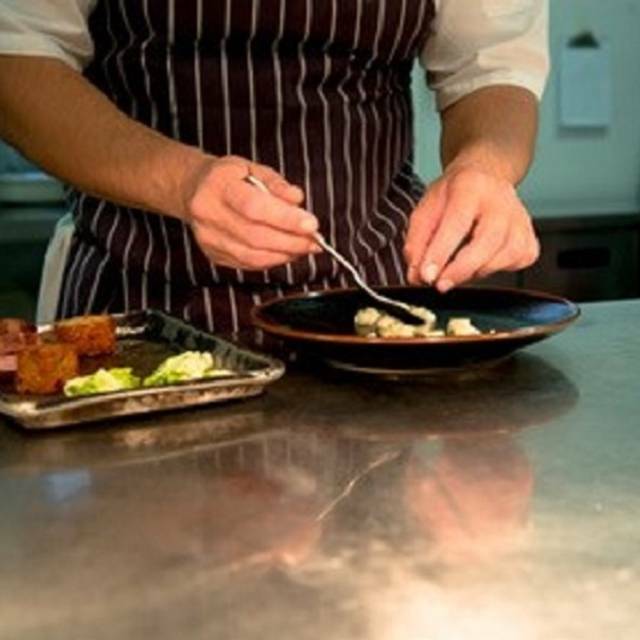 The food is of a high quality and, whilst not being top restaurant standard, gives an interesting range of dishes. For example, they had an eel starter on when we were there and it was delicious. My only complaint about the restaurant is the wine list, which lacks much choice or genuine quality. They also, in line with far too many mid to lower-top end restaurants, do not give the wine vintages on the wine list and sell their wines too young to be fully appreciated. We had a really lovely lunch and the service was second to none. Nothing was too much trouble. The decor is stunning, as is the bar area and the garden. We will definately be returning. Thank you! Smoked haddock starter was amazing but the steak from the Specials menu was not that inspired and sadly had more sinewy bits that ought to have been trimmed out by the butcher or chef - not by me! Full English breakfast was very tasty but the home made baked beans were not for me. The food was very good indeed, and we were provided with Gluten free options for the two diners who have an intolerance. Only real complaint was a mix up of menus - which meant we had to re-order twice - but the waiting staff handled it very well and were friendly and patient. We went there for a Birthday meal for my Dad and he was very happy. Perhaps I should have thought more about picking a hotel dining room. It didn’t quite work for us. We were very well looked after, but for all the ‘serious’ decor the rather tired table let the side down. Very thin on atmosphere, and it was a Friday night!